Truly, one of the greatest honors that can be bestowed upon a person is getting the chance to be played by Tom Hanks in a movie. Some people don’t get that honor until after they’ve died, but you have to imagine that they hear about it in whatever afterlife they find themselves in. Anyway, the latest real person that Tom Hanks is going to play in a movie—joining a list that includes Chesley Sullenberger, Jim Lovell, Ben Bradlee, Captain Richard Phillips, Walt Disney, Fred Rogers, whatever the guy’s name was in Bridge Of Spies, and Woody the cowboy—is Elvis Presley’s iconic manager Colonel Tom Parker. This is happening in Baz Luhrmann’s untitled Presley biopic, with Variety reporting that Luhrmann wanted a star for the Colonel and a newcomer for Presley, though the King himself hasn’t been cast yet. 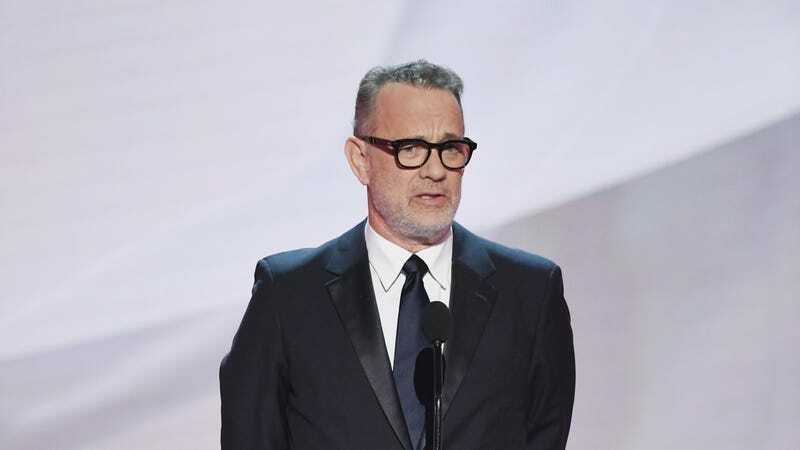 Considering that the only person who qualifies as more of a star than Hanks is George Clooney (or maybe Chris Evans), this seems like a good choice.